The New York Giants are continuing to rely heavily on Odell Beckham Jr., even using him to replace Eli Manning at quarterback. 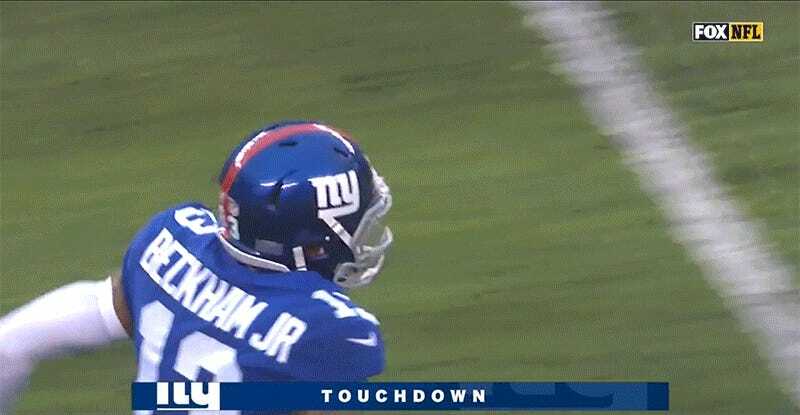 On a 1st-and-10 play from the Bears’ 49-yard line, the Giants ran a fake toss play Beckham, who rolled out looking for an open teammate to throw to. After making a quick cut, and preparing for a double move, he chucked the ball downfield to a wide open Russell Shepard for the touchdown. This was Beckham’s second touchdown of the season on his second passing attempt. He threw his first score earlier this season on a 57-yard throw to Saquon Barkley. While the end result might have gone for more yards, this throw was clearly more impressive as he didn’t even have to fully plant his feet to make the play.